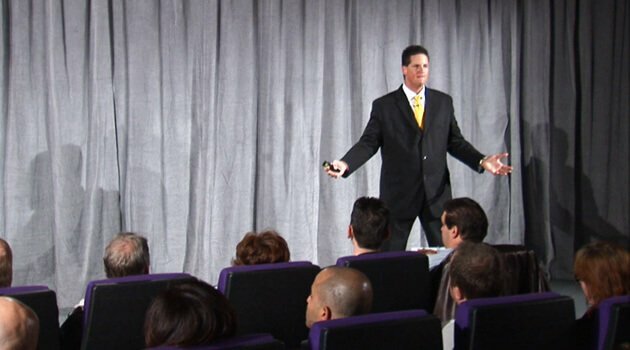 James Malinchak has delivered over 2,200 motivational presentations at conferences and meetings worldwide, and was named Consummate Speaker of the Year by Sharing Ideas professional speakers' magazine. He has appeared in USA Today, The Wall Street Journal and several hundred other publications. Currently, James owns three businesses, has authored eight books, and has read and researched over 1,500 books on personal and professional development. He is a contributing author to, and serves as associate editor for, the #1 New York Times Best-Selling book series Chicken Soup for the Soul,® with his own personal stories published in Chicken Soup for the Teenage Soul, Chicken Soup for the Kid's Soul and Chicken Soup for the Prisoner's Soul. James is the Co-Author of the upcoming book, Chicken Soup for the Athlete's Soul and Chicken Soup for the College Soul. James mixes enthusiasm and humor with motivational stories to deliver a high content message that "Empowers Audiences to Achieve Extraordinary Results!"